India is one of the 12th12th mega bio-diversity countries of the world. With approximately 47,000 plant species, India ranks 4th4th in Asia and 10th10th in the world (in terms of plant diversity). India has about 15,000 species of flowering plants and contributes 6 percent to world’s total flowering plants. India has about 90,000 species of animals. 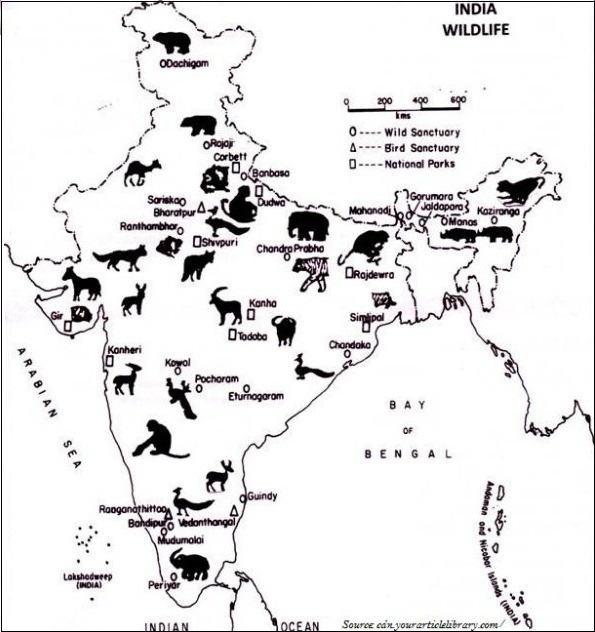 In 1972, a comprehensive Wildlife Act was enacted, which instructed the main legal framework for conservation and protection of the wildlife in India. Further, in 1991, the Act of 1972 has been comprehensively amended. In the amendment, punishments have been made more stringent and provisions have also been made for the protection of specified plant species and conservation of endangered species of wild animals. Besides, some other special schemes such as Project Tiger (1973) and Project Elephant (1992) have been launched to conserve these species and their habitats. A Biosphere Reserve is a unique and representative ecosystem of terrestrial and coastal areas, which are internationally recognized within the framework of UNESCO’s Man and Biosphere (MAB) Program. 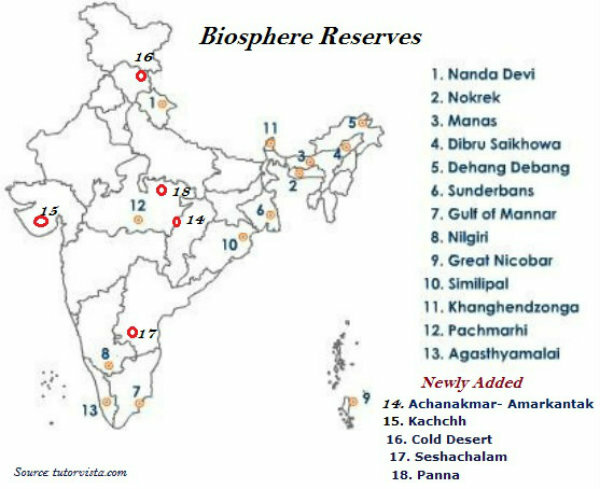 There are 18 Biosphere Reserves in India, out of which 9 Biosphere Reserves have been recognized by the UNESCO on World Network of Biosphere Reserves. Established in September 1986, the Nilgiri Biosphere Reserve is the first biosphere reserves of India. There are about 2,000 species of birds in India that account to 13 percent of the world’s total. There are about 2,546 species of fish in India that account to 12 percent of the world’s total. 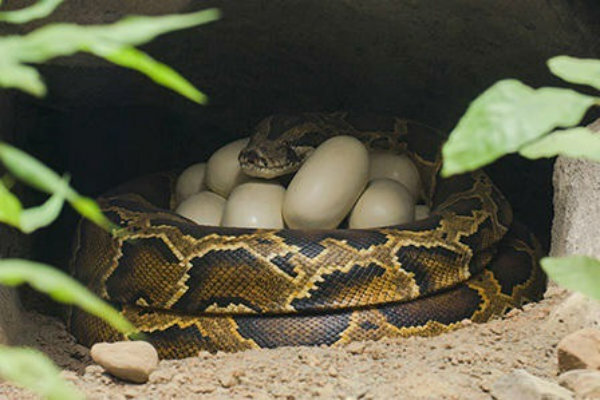 India has about 5 to 8 percent of the world’s amphibians, reptiles, and mammals. India is the only country in the whole world where both tigers and lions are found. Gir forest in Gujarat is the natural habitat of lion in India. Tigers are found in the Sundarbans of West Bengal, and the forests of Madhya Pradesh and Himalayan region. About 1,300 plant species have been listed as endangered species in India; however, 20 species are already extinct. The threat on wildlife has increased because of excessive commercial activities, pollution, expansion of human settlement, and of course illegal trade of both animals and plants. 1 Nilgiri (5520) 01.08.1986 Part of Wynad, Nagarhole, Bandipur and Madumalai, Nilambur, Silent Valley and Siruvani hills in Tamil Nadu, Kerala and Karnataka. 2 Nanda Devi(5860.69) 18.01.1988 Part of Chamoli, Pithoragarh and Almora districts in Uttarakhand. 3 Nokrek (820) 01.09.1988 Part of East, West and South Garo Hill districts in Meghalaya. 5 Sunderban (9630) 29.03.1989 Part of delta of Ganges & Brahamaputra river system in West Bengal. 6 Gulf of Mannar(10500) 18.02.1989 Indian part of Gulf of Mannar extending from Rameswaram island in the North to Kanyakumari in the South of Tamil Nadu. 7 Great Nicobar (885) 06.01.1989 Southernmost island of Andaman and Nicobar Islands. 8 Similipal (4374) 21.06.1994 Part of Mayurbhanj district in Odisha. 9 Dibru-Saikhova (765) 28.07.1997 Part of Dibrugarh and Tinsukia districts in Assam. 10 Dehang-Dibang (5111.5) 02.09.1998 Part of Upper Siang, West Siang and Dibang Valley districts in Arunachal Pradesh. 11 Pachmarhi(4981.72) 03.03.1999 Part of Betul, Hoshangabad and Chhindwara districts in Madhya Pradesh. 12 Khangchendzonga (2931.12) 07.02.2000 Part of North and West districts in Sikkim. 13 Agasthyamalai (3500.36) 12.11.2001 Part of Thirunelveli and Kanyakumari districts in Tamil Nadu and Thiruvanthapuram, Kollam and Pathanmthitta districts in Kerala. 14 Achanakmar – Amarkantak (3,835. 51) 30.03.2005 Part of Anuppur and Dindori districts of Madhya Pradesh and Bilaspur district of Chattisgarh. 15 Kachchh (12,454) 29.01.2008 Part of Kachchh, Rajkot, Surendranagar and Patan districts in Gujarat. 16 Cold Desert (7,770) 28.08.2009 Pin Valley National Park and surroundings; Chandratal & Sarchu; and Kibber Wildlife sanctuary in Himachal Pradesh. 17 Seshachalam (4755.997) 20.09.2010 Seshachalam hill ranges in Eastern Ghats encompassing part of Chittoor and Kadapa districts in Andhra Pradesh. 18 Panna (2998.98) 25.08.2011 Part of Panna and Chhattarpur districts in Madhya Pradesh. The above highlighted reserves have been included in the World Network of Biosphere Reserves of UNESCO. Nanda Devi in Uttarakhand, Sunderbans in the West Bengal, the Gulf of Mannar in Tamil Nadu, the Nilgiris between the states of Tamil Nadu, Kerala, and Karnataka, etc. have been included in the world network of Biosphere reserves. The plant species grown naturally without any human aid and remains undisturbed is known as virgin vegetation. The virgin vegetation, which are purely originated and grown in India is known as endemic or indigenous species but those which have come from outside India are termed as exotic plants. Flora simply refers to plant species and Fauna refers to animal species.